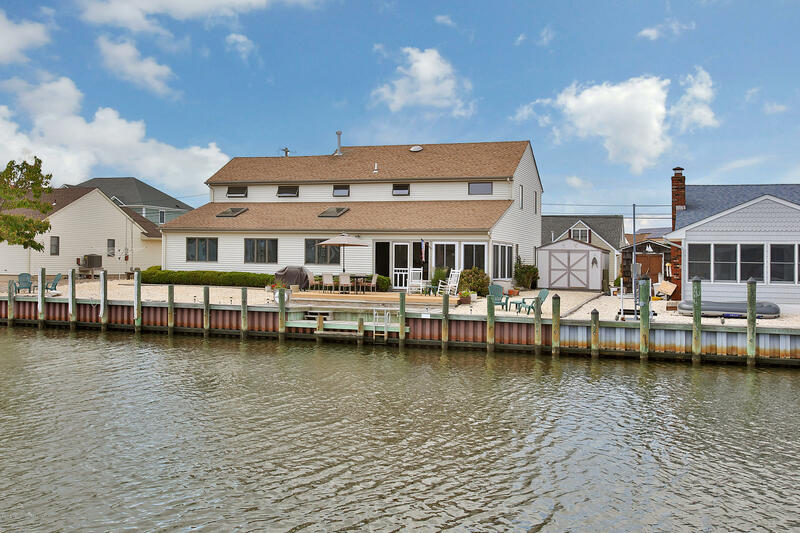 Large 4 bedroom, 3 bath Colonial located in one of Lacey's Premier Waterfront Areas. Home sits in a cul-de-sac, leading out to open bay. It features 4 zone HWBB heat, open floor plan, hardwood floors, bedroom on first floor and a 3 season enclosed porch, 2 walk in closets and sitting room in master bedroom with a new upgraded master bath with double sinks and granite counter. Kitchen is upgraded as well with granite countertops. A Boater's Delight! Wide and deep lagoon with quick access and 83' of Bulkhead. Truly a nice home. Sellers are motivated and moving SOUTH.